1. Abel Danger (AD) claims that a bank cartel directed by Theresa May – a former senior advisor in International Affairs at the Association for Payment Clearing Services – funded the hacking of U.S. defenses during the false-flag attacks of 9/11 attributed by the late General Alexander Haig to “The Palestinians or the Bin Laden Group“. 2. AD claims that May’s banks provided the accelerated loan finance needed by SBA 8(a) companies to recruit hackers and equip Clinton Foundation and DOJ Pride insiders with the servers needed to bet on the time of deaths of Hillary Clinton’s rivals and enemies. 3. AD claims that May’s banks used 8(a) Zulu timing signals from a Serco cesium clock to time-stamp the money shot image of the death of Captain Gerald DeConto – the duty officer of the Pentagon’s U.S. Navy Command Center – at Sep. 12, 2001 17:37:19. 4. 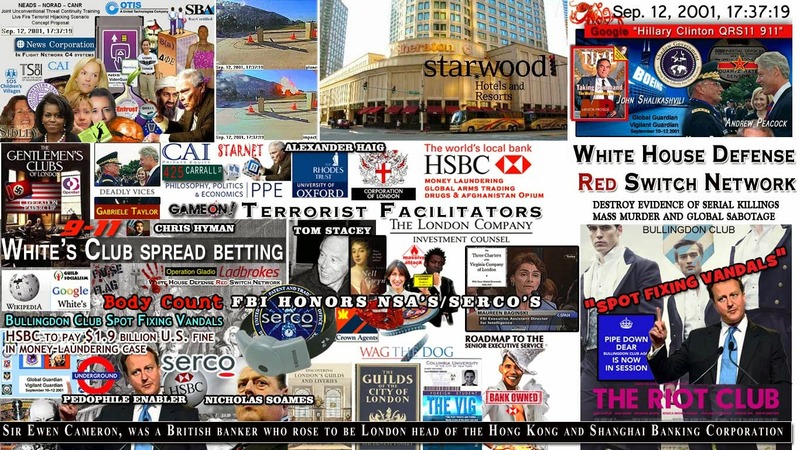 United States Marine Field McConnell asks James Comey – a former director of one of May’s cartel bankers HSBC and the current FBI director – to hand over any evidence of hostile actors (Gary McKinnon?) who may have hacked the Clinton 8(a) server network to families intending to sue for damages in re wrongful deaths of their relatives on 9/11 (https://abeldanger.blogspot.com/2010/01/field-mcconnell-bio.html). 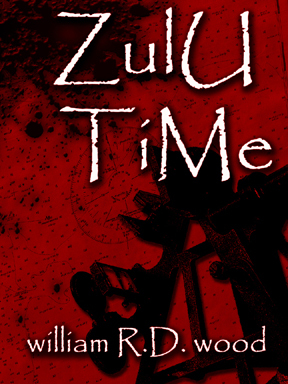 White’s Club death-bet bookmaker services dates back to 1743 and – as Cameron’s friend, Churchill’s grandson and Serco CEO Rupert Soames well knows – only the technology to spot fix the Zulu time of victim death has changed. 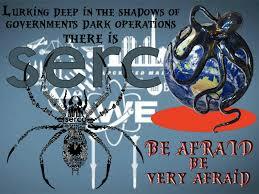 “Since 1968, Serco has been operating Air Traffic Control Towers in the United States. We have been managing sites under the FAA Contract Tower Program since 1994. Serco currently manages 64 FCTs across the western United States, including Alaska, Hawaii, Guam and Saipan. Serco provides air traffic control services in the tower to support the safety of incoming/outgoing aircraft, improve the efficiency of air traffic and provide information and support to the pilots. Sercosaid goodbye to the National Physical Laboratory (NPL) at the end of December 2014 after 19 years of extraordinary innovation and science that has seen the establishment build a world-leading reputation and deliver billions of pounds of benefit for the UK economy. During that period under Serco‘s management and leadership, NPL has delivered an extraordinary variety and breadth of accomplishments for the UK’s economy and industry. Some of the key achievements during that time have been:… It has been estimated that work carried out by the Centre of Carbon Measurement at NPL will save eight million tonnes of carbon emissions reductions (2% of UK footprint) and over half a billion pounds in economic benefit over the next decade…. Media caption Theresa May: “A decision to extradite would be incompatible with [Mr McKinnon’s] human rights” British computer hacker Gary McKinnon will not be extradited to the US, Home Secretary Theresa May has announced. Mr McKinnon, 46, who admits accessing US government computers but claims he was looking for evidence of UFOs, has been fighting extradition since 2002. The home secretary told MPs there was no doubt Mr McKinnon was “seriously ill” and the extradition warrant against him should be withdrawn. Mrs May said the sole issue she had to consider was his human rights. She said it was now for the Director of Public Prosecutions, Keir Starmer QC, to decide whether he should face trial in the UK. Mrs May said: “Since I came into office, the sole issue on which I have been required to make a decision is whether Mr McKinnon’s extradition to the United States would breach his human rights. “Mr McKinnon is accused of serious crimes. But there is also no doubt that he is seriously ill.
“He has Asperger’s syndrome, and suffers from depressive illness. The legal question before me is now whether the extent of that illness is sufficient to preclude extradition. Analysis By Dominic CascianiHome affairs correspondent The home secretary’s decision to block this extradition is extremely significant. She had an obligation under the Human Rights Act to take into account new evidence about Gary McKinnon’s health. The real twist is that this may be the one and only time she blocks an extradition on human rights grounds because she has now pledged to hand that decision to judges, in line with a recommendation in the review she commissioned. The 2003 extradition deal with the US aimed to speed up extradition and remove political prevarication or interference. And although the home secretary says the deal is broadly sound, she has accepted one of the main criticisms – that there must be a power to block extradition if someone could be tried in the UK. That will be a major change in extradition law. Critics, including many MPs, will say this reform should have come sooner. Mrs May also said measures would be taken to enable a UK court to decide whether a person should stand trial in the UK or abroad – a so-called forum bar. It would be designed to ensure extradition cases did not fall foul of “delays and satellite litigation”, she said. “I believe extradition decisions must not only be fair, they must be seen to be fair. And they must be made in open court where decisions can be challenged and explained,” she said. Mr McKinnon, from Wood Green, north London, who has been diagnosed with Asperger’s syndrome, a form of autism, faced 60 years in jail if convicted in the US. His MP, David Burrowes, who had threatened to resign as a parliamentary aide if Mr McKinnon was extradited, welcomed the decision. BBC legal correspondent Clive Coleman said it was a dramatic decision – the first time a home secretary had stepped in to block an extradition under the current treaty with the US. Shami Chakrabarti, director of civil rights group Liberty, said: “This is a great day for rights, freedoms and justice in the United Kingdom. Mark Lever, chief executive of the National Autistic Society, said he was “delighted that the years of waiting are finally over for Gary and his family”. US extradition expert Douglas McNabb said the US Attorney’s Office would be furious and he suspected it would ask Interpol to issue a red notice – making other nations aware there was an outstanding arrest warrant for Mr McKinnon in the US – which would mean he could be arrested if he left the UK. The family of terror suspect Babar Ahmad said while they welcomed the decision not to extradite Mr McKinnon, questions had to be asked. Latest By Dominic CascianiHome affairs correspondent Mr Ahmad was one of five terror suspects, including radical cleric Abu Hamza al-Masri, extradited to the US earlier this month. His co-accused, Talha Ahsan, who was also extradited, was diagnosed with Asperger’s in June 2009, according to a European Court of Human Rights judgement. Both are accused by US authorities of running a pro-jihad website. US authorities have described Glasgow-born Mr McKinnon’s actions as the “biggest military computer hack of all time” and have demanded he face justice in America. They insisted his hacking was “intentional and calculated to influence and affect the US government by intimidation and coercion”. The Americans said his actions caused $800,000 (£487,000) worth of damage to military computer systems. Mr McKinnon has previously lost appeals in the High Court and the House of Lords against his extradition, but two years ago a High Court judge ruled Mr McKinnon would be at risk of suicide if sent away. Earlier this year Mrs May put the decision on hold to allow Home Office appointed psychiatrists to conduct an assessment. They also concluded Mr McKinnon would be likely to take his own life if he was sent to face trial in the US. On 12 May 2010, when May was appointed Home Secretary and Minister for Women and Equality by Prime Minister David Cameron as part of his first Cabinet, she became the fourth woman to hold one of the British Great Offices of State, after (in order of seniority) Margaret Thatcher (Prime Minister), Margaret Beckett (Foreign Secretary) and Jacqui Smith (Home Secretary). As Home Secretary, May is also a member of the National Security Council.She is the longest-serving Home Secretary for over 60 years, since James Chuter Ede who served over six years and two months from 1945 until 1951. May’s appointment as Home Secretary was somewhat unexpected, as Chris Grayling had served as shadow Home Secretary in opposition. May’s debut as Home Secretary involved overturning several of the previous Labour Government’s measures on data collection and surveillance in England and Wales. By way of a Government Bill which became the Identity Documents Act 2010, she brought about the abolition of the Labour Government’s National Identity Card and database scheme and reformed the regulations on the retention of DNA samples for suspects and controls on the use ofCCTV cameras. On 20 May 2010, May announced the adjournment of the deportation to the United States of alleged computer hacker Gary McKinnon.She also suspended the registration scheme for carers of children and vulnerable people. These are structured discussion events where participants can explore issues in a less pressurised environment. They are an ideal way of developing solutions, procedures and plans rather than the focus being on decision making. Table Top Exercises These involve a realistic scenario and will follow a time line, either in real-time or with time jumps to concentrate on the more important areas. The participants would be expected to be familiar with the plans and procedures that are being used although the exercise tempo and complexity can be adjusted to suit the current state of training and readiness. Simulation and media play can be used to support the exercise. Table-top exercises help develop teamwork and allow participants to gain a better understanding of their roles and that of other agencies and organisations. Command/Control Post Exercises These are designed primarily to exercise the senior leadership and support staff in collective planning and decision making within a strategic grouping. Ideally such exercises would be run from the real command and control locations and using their communications and information systems [Feeling lucky, Punk?]. An extensive FBI investigation found evidence that foreign government hackers accessed private emails sent by former secretary of state Hillary Clinton but no direct evidence spies hacked into the several unsecure servers she used. FBI Director James Comey revealed Tuesday the 11-month probe into Clinton’s private email servers uncovered negligent handling of very sensitive classified information that was placed on several unsecure servers between 2009 and 2013, when Clinton served as secretary of state. In an unusual public announcement, Comey outlined findings that included discovery of highly classified information sent and received on Clinton’s private email servers, and signs that “hostile actors” gained access to email accounts of people who were sharing emails with Clinton. July 7, 2016 RESTON, VIRGINIA – July 7, 2016 – Serco Inc., a provider of professional, technology, and management services, announced today that the Company has been awarded a contract to deliver Command, Control, Communications, Computers and Intelligence (C4I)/IT infrastructure installation for the new Command and Control Facility at Offutt Air Force Base in Omaha, Nebraska. The Navy’s SPAWAR Systems Center Pacific (SSC Pacific) is leading the effort to upgrade the IT infrastructure in support of the United States Air Force. The new four-year contract awarded by SSC Pacific is valued at $12 million, including options. “Base One Technologies, Ltd. is a DOMESTIC BUSINESS CORPORATION, located in New York, NY and was formed on Feb 15, 1994. This file was obtained from the Secretary of State and has a file number of 1795583. This business was created 7,695 days ago in the New York SOS Office and the registered agent is C T Corporation System that does business at 111 Eighth Avenue , New York in New York. After conducting a search for principals and owners of Base One Technologies, Ltd., we were able to find 2 owners and/or executives. Their information is listed below. This file was last updated on May 14, 2013. Information Security Planning is the process whereby an organization seeks to protect its operations and assets from data theft or computer hackers that seek to obtain unauthorized information or sabotage business operations. Without a properly planned and managed Information Security Plan, an organization runs the risk of law suits, loss of data, compromised operations and loss of reputation. Our experts have secured some of the world largest and most complex commercial and carrier networks, as well as conducted extensive analysis and implementation work on some of the Federal Government’s most sensitive and critical environments, such as the FAA [and the Serco-mentored Pentagon Renovation project]. Base One Technologies takes your information security needs seriously! We conduct business analysis, install solutions and protect your network from unauthorized entry and data loss. We are there in the beginning to provide guidance and support to your data security program, through to implementation and eventually during the support life cycle providing process and procedures for incident reporting, analysis and counter measures. There is an immediate comprehensive narrative, including a convenient culprit. Law enforcement, government agencies, and the mainstream media immediately proffer a narrative that completely explains the event and encourages citizens to tie their intellectual understanding of the tragedy to the emotions they experience. In his lecture at Contact in the Desert, [author and researcher] Richard Dolan noted that a distinguishing characteristic of a false flag operation is that the official narrative IS NOT questioned by the media. There are often legislative, ideological and sociopolitical power plays waiting in the wings, which the government can immediately implement. The official narrative has obvious domestic and geopolitical advantages for the governing body. The Bush administration used 9/11 to usher in the War on Terror, which has served as a lynchpin for countless civil liberty infringements by the national security state, including ubiquitous domestic surveillance and indefinite detention. The narrative behind the attack serves to leverage emotions like fear, as well as patriotism, in order to manufacture consent around a previously controversial issue. For example, many of the recent domestic terror attacks, including the Aurora [and Orlando] shooting[s], have exacerbated and reinforced advocacy of gun control legislation. Read it again: “But when a long train of abuses and usurpations, pursuing invariably the same Object evinces a DESIGN to reduce them under absolute Despotism . . . .” Jefferson and the rest of America’s founders believed that there was a “design” (i.e, “plot,” “scheme,” or “conspiracy,” if you please) to “reduce them under absolute Despotism.” So, if you believe that government conspiracy is only for kooks, you must include America’s Founding Fathers in that group…. “[White’s Club member] Rupert Christopher Soames OBE (born 18 May 1959) is a British businessman, CEO of the outsourcing company Serco. Soames was born in Croydon, Surrey, to Lord and Lady Soames. He is a grandson of Sir Winston Churchill, a nephew of the former Defence Secretary Duncan Sandys and Diana Churchill; the journalist Randolph Churchill and the actress and dancer Sarah Churchill and a great-nephew of the founders of the Scout movement, Robert Baden-Powell and Olave Baden-Powell. His brother is the Conservative MP Sir Nicholas Soames. Soames was educated at St. Aubyns Preparatory School in Rottingdean, East Sussex and Eton College, and then Worcester College at the University of Oxford, during which time he worked as a DJ at the London nightclub Annabel’s, as well as being elected to the Presidency of the Oxford Union. Upon graduation, he was offered a position at General Electric Company (GEC) by the managing director Arnold Weinstock. He remained at GEC for 15 years, working in the company’s avionics and computing divisions, and became managing director of Avery Berkel, running the company’s UK, India, Asia and Africa operations. After leaving GEC in 1997, Soames joined the software company Misys as chief executive of its Midas-Kapiti division. He was promoted to chief executive of the Banking and Securities Division in June 2000. Soames left Misys after a disagreement with Misys founder Kevin Lomax on the company’s direction, and was appointed chief executive of power hire group Aggreko in June 2003, replacing Philip Harrower who died when his car collided with a train in the United States.